Categories: Beauty, Education, Fiction, Myth. This book is amazing. It provides informative information not taught normally. This book should be required in public school, as part of the required curriculum and especially in all of the black communities. 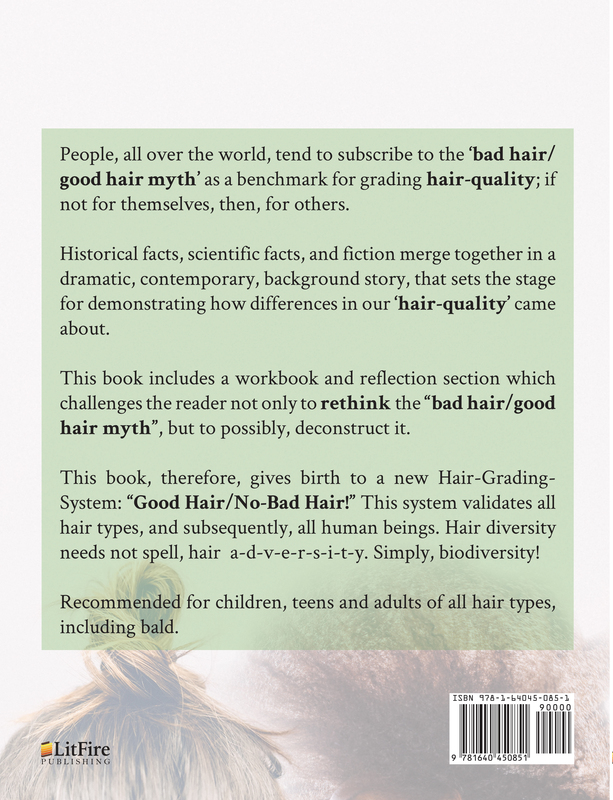 This book has really enlighten my view with respect to the origin of hair diversity and it help to dispels the myth that exist between bad hair versus good year. Hairmythology – The Origin of Hair Diversity: Uncover Your Hairitage – A New Hair Grading System That Dispels the “Bad Hair/Good Hair” Myth is another thought provoking and creative work by Ms. Samuels. Her ability to contrast hair types with animals to show the uniqueness of humans and individual hair types and that our true self and value lies not in hair types and textures is both educational and entertaining! I found the book to be an uplifting and enjoyable read. 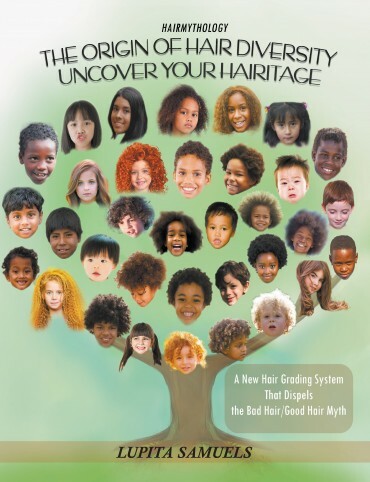 Thanks you so much for this wonderful book The origin of Hair Diversity. It was enjoyable and it was great looking at the animals with all type of hair. No one ever say that animals have good hair or bad hair. The point that stood out for me is that everything that God made is good. Therefore, all hair is good hair. Thank you for the wonderful lessons. Lupita Samuels is a retired public school teacher who lives in New York City. She has authored the Color-Blind series: THINK FOLKS ARE: “TOO BLACK?” “TOO DARK?” “TOO LIGHT?” “NOT TOO?” -THINK AGAIN! Ms. Samuels’ latest work, a mythology titled The Origin of Hair Diversity: Uncover Your Hairitage, aims to invoke an attitude of appreciation for all human hair types. Ms. Samuels’ mission is that the “color wall” and the “hair wall” that depreciate, divide, and even deprive many of equal opportunity will gradually come down, unify humanity, and foster equality. She hopes readers will begin to look around and take note that color diversity and hair diversity are pretty much the same in animals and in humans. It is all about biodiversity on our planet.